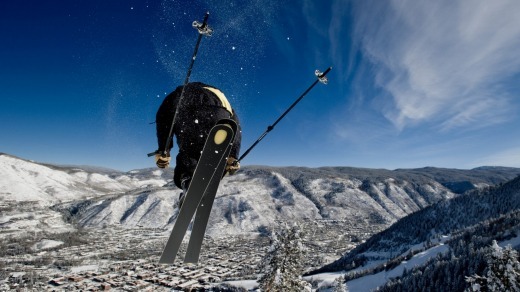 Craig Tansley discovers one of the ski world’s best abodes high above the jet-setters in Aspen. Look at me, look at me: sipping champagne as I float among the bubbles of my Jacuzzi on the private rooftop of my mountain apartment in the world's most revered ski town. Below me - four stories down, to be precise - skiers shuffle back and forth to the Silver Queen Gondola at the base of Aspen Mountain, and the stars of American business and entertainment luxuriate on the sun-deck of that star-spotting hot-spot the Ajax Tavern after a day of skiing powder snow. Somewhere below, I just saw Elle Macpherson meander past in a rather fetching ski outfit. But here, on my roof-top with its two bubbling Jacuzzis and its heated pool, I'm the king of the castle and no celebrity is going to steal my glory ... even if we are in Aspen. But then Residences at The Little Nell, in Aspen, are the ski world equivalent of staying in Bora Bora's fanciest overwater bungalow, or on your own private yacht off St Tropez - there's really nowhere better to stay on Earth if you fancy a ski holiday. 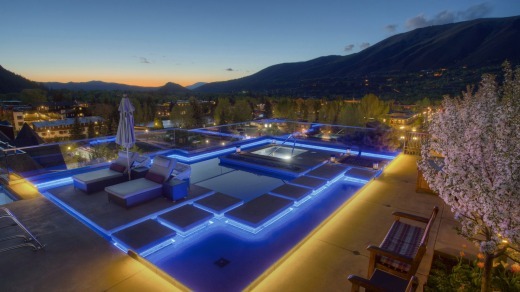 The Residences are part of Aspen's only Forbes Five Star/ Five Diamond recognised hotel, the Little Nell, Aspen's classiest hotel. They are a collection of 26 ski-in, ski-out private apartments that range in size from a colossal 260 square metres to a gargantuan 355 square metres. They're about as far removed from my first ski experience - dragging a snowboard through an icy car park to a distant, crowded lift line - as I could possibly imagine. There's never anything to lug about at the Residences: when I arrive and by habit carry my briefcase on the elevator ride to my top-floor apartment, the bellman offers to take it from me - twice. "Sorry, we feel kind of funny about letting you carry anything here, sir," he says. Each morning my own private ski concierge ensures all my ski gear is waiting for me downstairs (with boots warmed), where I have a 22-metre walk to the gondola (yes, I measured it). And if I'd like to explore the town and its surrounds, as a guest I have free use of a brand-new Audi A8. You really don't need to drive though, the Residences are in the town centre - nothing is more than a few blocks' stroll away. But if all of this suggests a certain level of pretence (it probably does, right? ); then let me stop you now. If you seek that - the waft of old money and some good ole pompous posturing -then go to St Moritz. While the masters of the universe do visit Aspen en masse each year, it really is a simple Colorado mountain town at heart. Of course money talks in this town - at times it screams and shouts, and over holiday weekends you'll find more private jets at Aspen airport than at any other airport on Earth - but there are just as many old (Grateful) "Dead-Heads" and long-term locals in this town as jet-setters. For every designer store selling $30,000 fur coats there's a comfy-as-an-old-pair-of-boots local bar where your beer comes with change from $4. "In Aspen you either have three homes or three jobs," town historian Tom Egan says. "Most of us fall into the latter category." Residences at the Little Nell reflect this: it's undeniably rock star-like in part with its grand fireplaces and gigantic gourmet kitchens (mine even comes equipped with a giant computer monitor should I wish to check emails while I wait for the kettle to boil) but there's enough of the common touch for me to always feel comfortable. And the staff treat me the same as everyone else, regardless of my casual snowboard attire. The decor of the rooms reflects the unique characteristics of the Colorado mountains that dwarf me on all sides, with an emphasis on local timbers and limestone rock. I like that I'm not shut away like some regal wannabe in his golden fortress. Instead, with its enormous balconies and floor-to-ceiling windows looking out over Aspen Mountain, I feel like I'm sleeping in the middle of a ski run. All manner of conveniences come with staying here, from pre-arrival grocery shopping to exclusive breakfasts and lunches served right beside the ski slopes. If you wish, you can even arrange a private barbeque in the rooftop garden area beside the pool and Jacuzzis to take in the sunset. 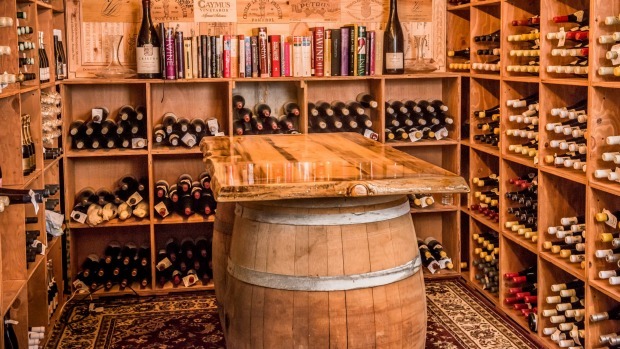 Guests also enjoy all the amenities and luxuries of the Little Nell, just a 30 second walk away - where you can dine at one of Colorado's best restaurants, Element 47, which boasts a wine cellar containing more than 20,000 of the world's best wines. 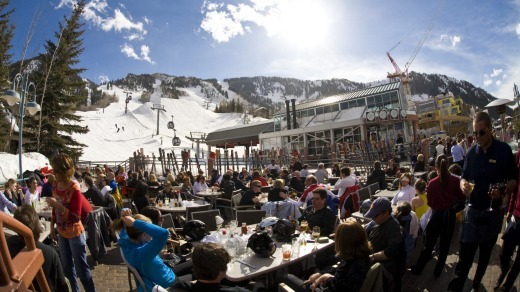 The writer travelled courtesy of Travelplan Ski and Residences at the Little Nell.